I've been stuck doing our accounting all week. Don't get me wrong, I enjoy working with the numbers, but after a week, my brain is numb. Let's get back to making more sales on Etsy. How do you turn your visitors into customers? When I ask this question to myself, this first thing that always pops into my mind is to take incredible pictures. After that, there are still lots of other smaller sales converting ideas bouncing around in my head. 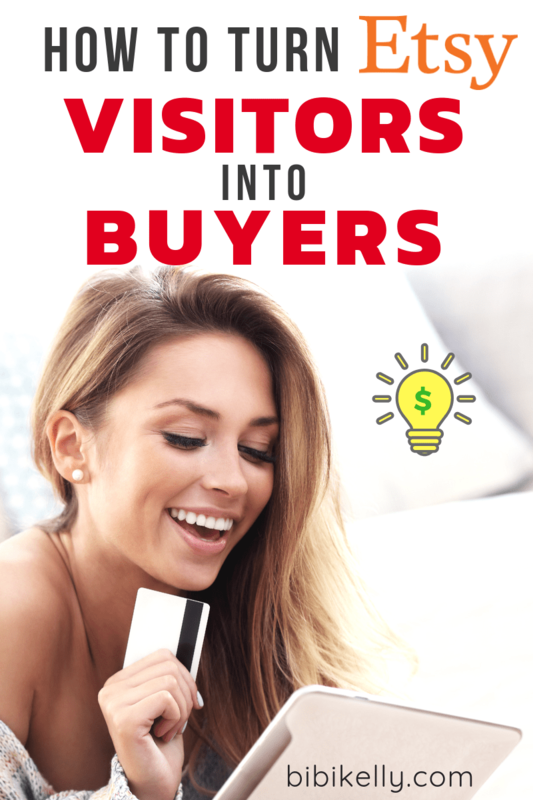 Here are our Top 9 strategies to turn your Etsy shop visitors into buyers. We've already covered #1 - Product Photography in a different post so we can skip that for now. If you haven't already read this article, please read it now and start there first. Aside from product photography, what else can you do to turn those visitors into customers? No really. Sell your products. Be a super-star salesperson. Hype them up. Tell the visitor why your products are the greatest, and why they have to buy them. Paint them a picture, who the gift recipient is. Describe just how much that person will love the gift. Keep going back on a regular basis, and try to make your product listing descriptions better and better. When you receive a convo, and it feels like the customer is about to buy, help seal the deal. Literally, ask them for the sale. Essentially, you are encouraging the customer, giving them that little bit of reassurance they need to pull the trigger and make this purchase. 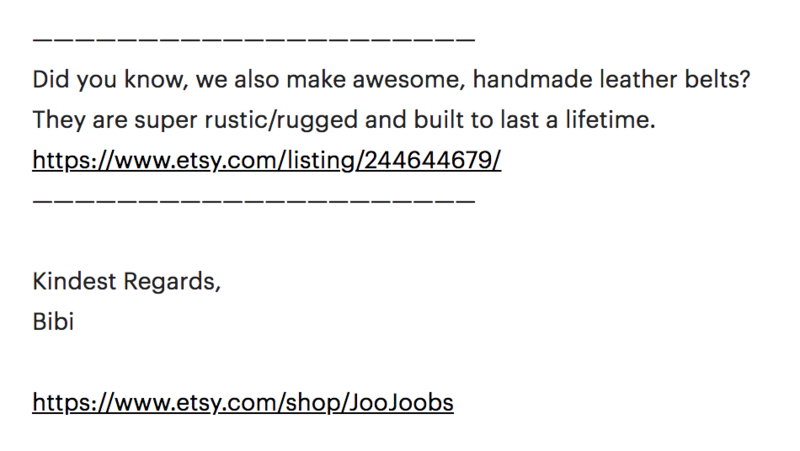 Etsy doesn't allow hyperlinks in your descriptions unless they're Etsy hyperlinks. When a customer visits your shop, you want to keep them there for as long as possible. The longer they visit, the higher the chance they buy something. In our shop, we make it a habit to inter-link our items. The links are naked URL links, but you should still add at least 2 - 3 to every listing. PS. Google also likes internal links, so make sure to keep the Big G happy. Take your time and write full product descriptions. Pretend you are a customer, what are all the possible questions you might ask. For every question, make sure your product description has an answer. Most of us have embraced online shopping. We are now part of the majority, no longer the minority. But even today, all of us are still a little wary when we buy stuff online. "Can I trust this shop?" We all ask this question inside our heads, even if it's only subconsciously. We look around for clues that a shop is legitimate. Make sure you have a well written, complete, enjoyable to read, About me page. The About me page is one of those pages customers visit for the sole purpose of deciding whether or not your shop is legitimate. 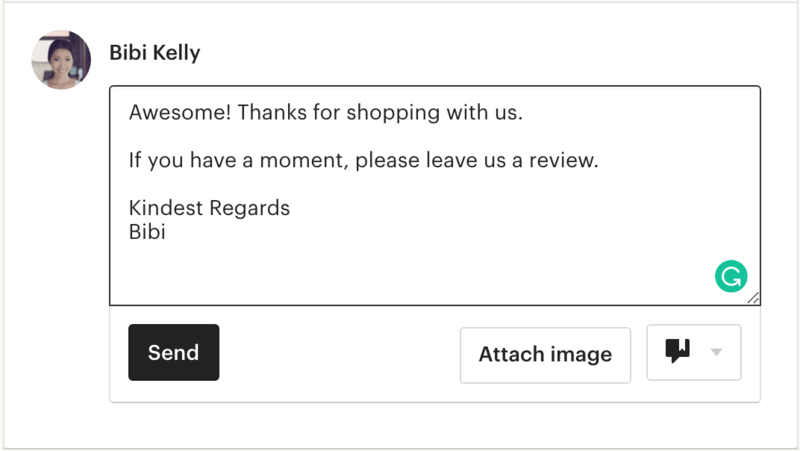 If a customer sends you a convo telling you that they loved their order, ask them for a review. Ask, and you shall receive. You'll notice in the above Etsy convo reply, there is a green "G" in the corner. We highly recommend using Grammarly. I'm mildly dyslexic (Kelly) and Bibi is not a native English speaker. Grammar is very, very important. Poor grammar can quickly lose you a sale. The Grammarly app has been a complete life-changer for us. Grammarly also has a chrome extension so you can use it for your Etsy convos. It's not 100% perfect, but it does catch most of the little errors we make on a day-to-day basis. You have to reply back to customers as soon as possible. If you ignore them too long, they will go buy from another vendor. Install the Etsy seller's app on your smartphone so you can reply back to customers the moment they send you a message. Quick replies will lead to an increase in sales, guaranteed! Please use this list, save it for later (pin it!) and make sure you implement each idea as soon you can. Each of the above 9 tips is focused on improving your sales conversions. Once you've optimized your store for sales conversions, your focus needs to switch to traffic generation, i.e., get people to your shop!